It’s often said that a photograph is a memory; one that we can go back to time and again as our memories fade. Photographs are our way of keeping a memory fresh in our minds, kind of like recharging a battery. My memories are imperfect. I forget things, distort them in my mind and probably even add things that were never there to begin with. 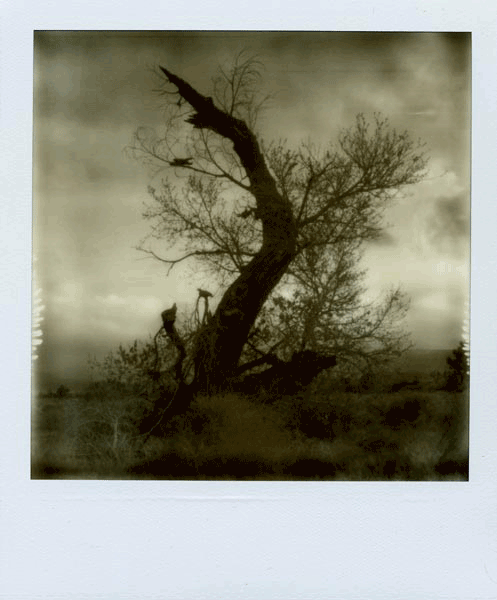 The imperfection created by Impossible Project film makes each photograph more real for me. These images touch my soul and move my spirit because when I look at them, my mind sees a memory. I grew up in southern California and have spent much of my life visiting the beaches, deserts and mountains that make up a large part of the state. I have many fond memories of camping with friends and family in all of these places, though we spent the majority our time in the desert. 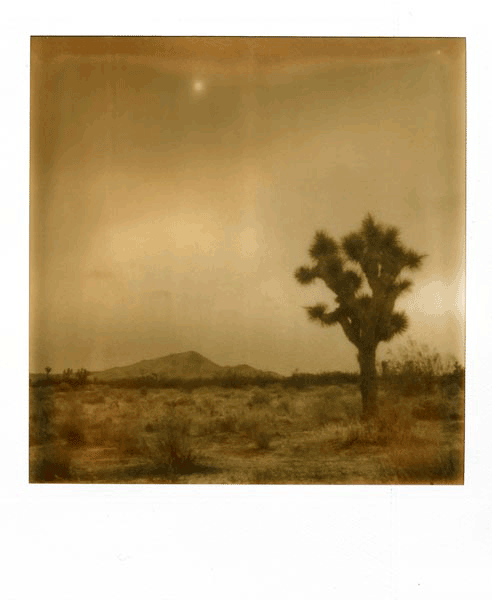 It was those memories that inspired me to move to the desert and that continue to inspire my work to this day. 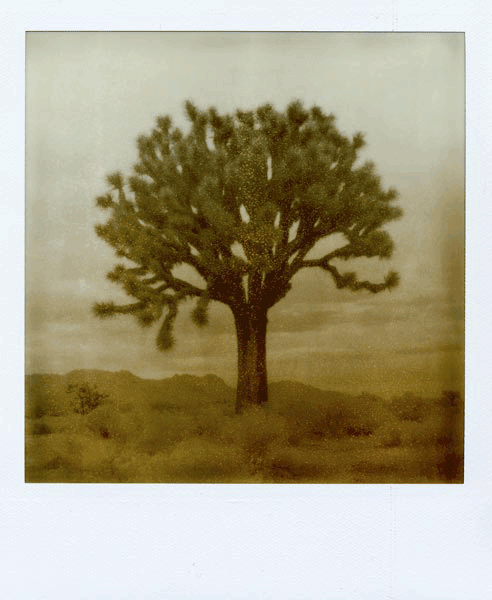 I feel a deep, spiritual connection with this land and never seem to run out of subjects to photograph, from giant Joshua trees to long-dead cholla cactus branches. Finding the right medium for my imagery has been a long process that’s included many types of cameras, both digital and film, as well as different alternative photographic processes. The journey to create the perfect image continues. I doubt it will ever end because my idea of the perfect image changes day by day, week by week, and subject by subject. But what will always remain constant in my imagery is the need for imperfection—soft, dreamy, distorted, speckled, light-leaked imperfection. I like to isolate each subject in the camera if I can, and if I can’t, I do post-production work to further isolate the subject. 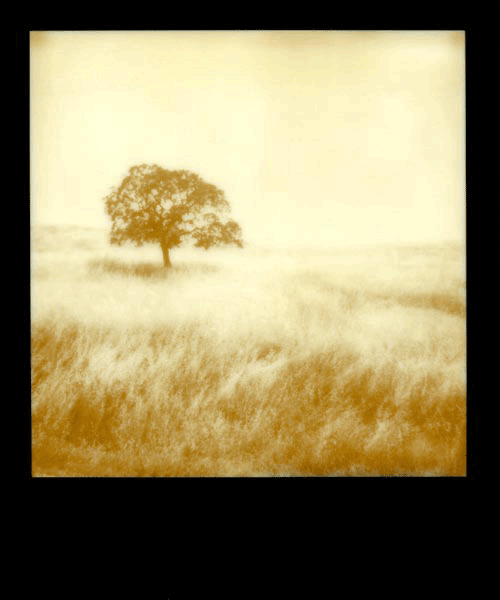 Another aspect of Impossible Project film and, I’ve found, most instant film in general, is the softness of the images, which helps blur and hide extraneous details around the subject. This is also why I love alternative process prints, especially gum bichromate and oilprint processes. I can easily manipulate each print to obscure any detail I feel detracts from the main subject. I am a prolific image maker. Rarely a week passes without my going on at least one photographic adventure. I have many irons in the fire where my photography projects are concerned, but the desert is my real love. I plan to continue shooting it until the day comes when I can no longer lift a camera and it is my sincere hope that the Impossible Project will be along for the entire ride. Currently living in the Los Angeles area, Erin McGuire is a photographer specializing in film. 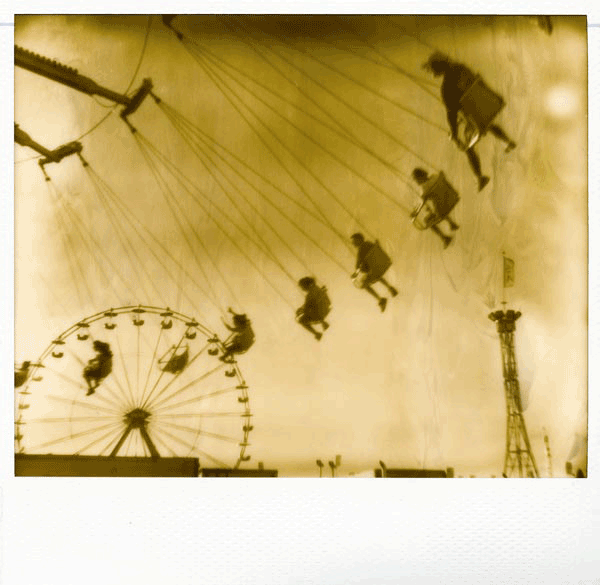 She works extensively with antique cameras and has participated in numerous shows in Southern California.